I had no idea potstickers were so easy to make. 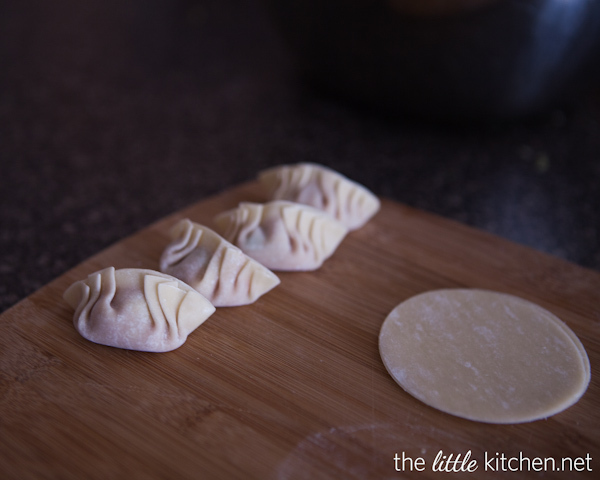 Seriously…so easy or you can make them into dumplings. Whichever way you like them – either pan fried and steamed or just steamed. I probably sound super cheesy when I say over and over again that I’m truly thankful for my friends. I have had to learn the hard way, after hitting some bumps, that I need to appreciate those true friends that I do have and to hold them close. I have a handful of friends who are incredibly generous and supportive and I feel like such a lucky girl! One of those friends is Aggie. We had been chatting about getting together (we live an hour away from each other) and cooking forever. It finally happened last week and we made these potstickers and Aggie made these amazing Asian turkey meatballs. She also made this amazing salad with the meatballs (she’s sharing it soon)…seriously layers of amazingness in that salad. I can’t wait to make it myself at home! So for the potstickers – they are cooked in a skillet with some oil (covered) and then you after they brown, you can add some water and cover again to steam them. 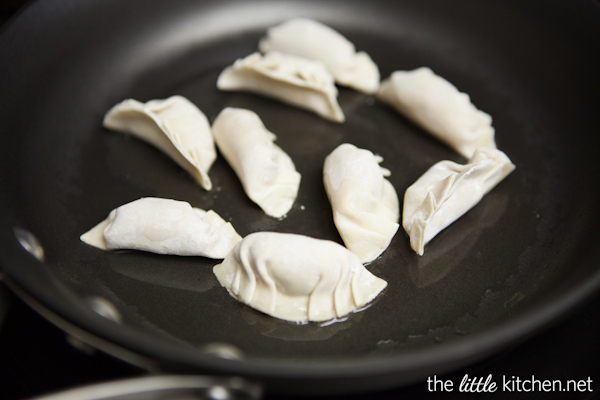 To make them as dumplings, you just steam them in a wok. My favorite wok? Jaden’s wok – hands down. I love it for stir fries, for steaming and to make fried rice of course! 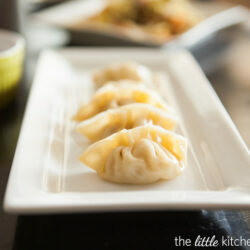 For inspiration and the how to wrap the potstickers – I used Bee’s book, Easy Chinese Recipes. 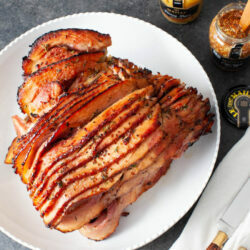 And with the Chinese/Lunar New Year coming up in a couple of weeks, this is the perfect dish to serve! 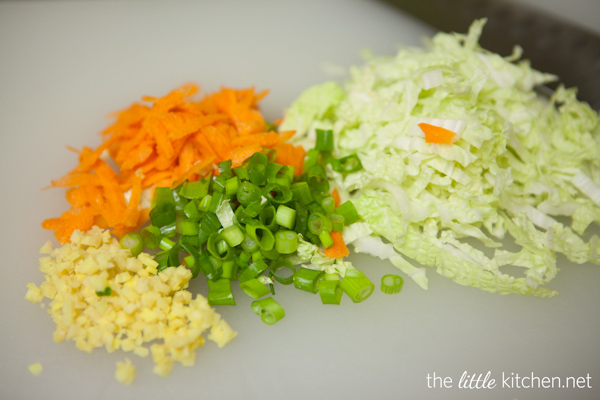 Start by getting all of the vegetables ready – carrots, Napa cabbage, green onions and fresh ginger. Nothing beats fresh ginger – except for maybe fresh garlic. Skip the jarred stuff when it comes to garlic and ginger, trust me. A tip I learned from my friend, Jaden, cook a couple pieces of your filling in a skillet to make sure you have the seasoning right. 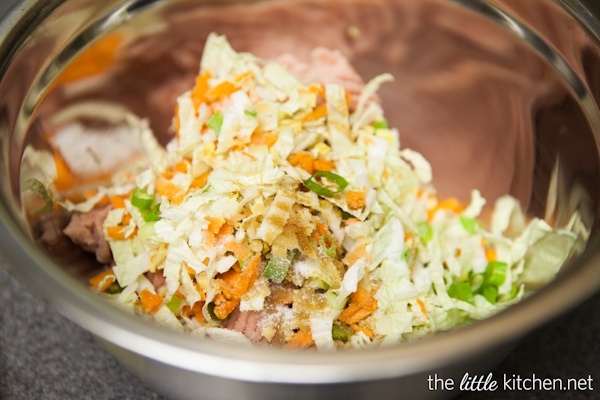 Combine the veggies with the meat – I have officially made this recipe three times now. Once with Aggie and twice by myself. We used ground turkey and I have even made it with ground chicken. Both work great and I’m not sure I have a favorite between the two. 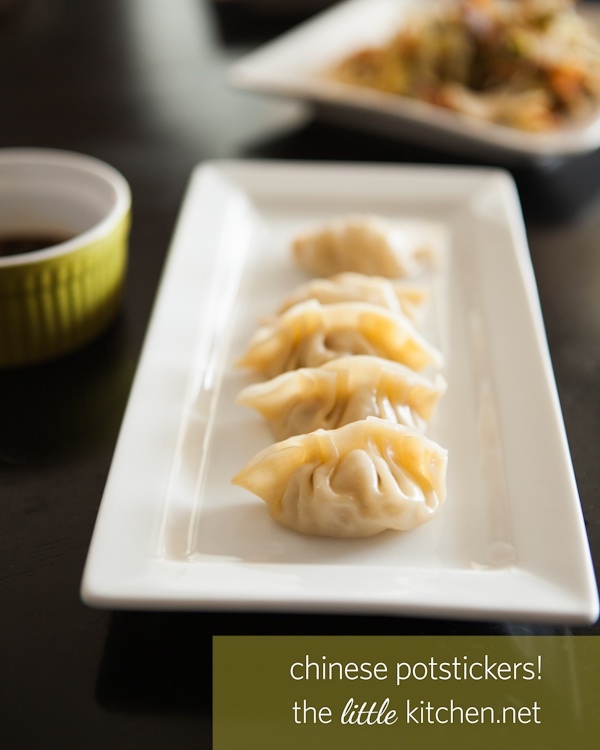 This is a little different since traditional potstickers are made with ground pork. 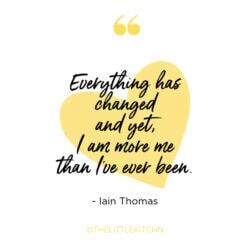 So simple, I know you can do it. Seriously you can, I believe in you! Thank you, Aggie, for your wonderful video handiwork! If you’re steaming them, hopefully your wok has a steamer rack like Jaden’s does and place a piece of parchment paper on top. Fill the wok up with water just below the steamer rack. Add your dumplings and be sure to cover your wok and steam for 5 to 8 minutes. These potstickers even freeze really well. 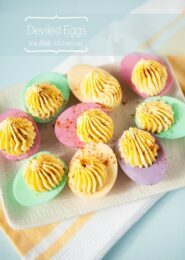 I put them on a parchment paper lined cookie sheet and stuck them in the freezer (for about a couple of hours) and then you can put them into freezer-friendly zippered plastic bags – be sure to label them and date them. 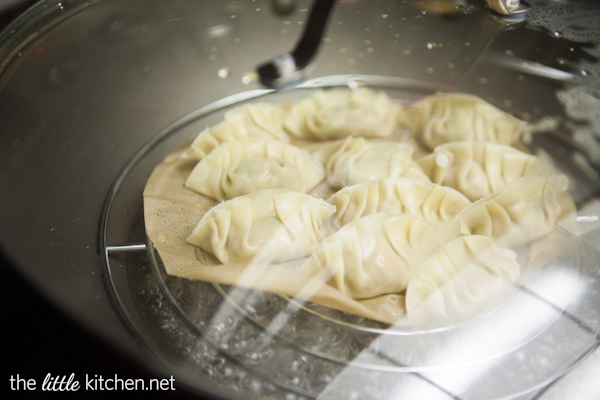 Fresh or frozen, potstickers cook up nicely. I used a non-stick skillet and heated canola oil on medium heat. Add the potstickers and cover. Cook for 3 to 5 minutes and then add 1/4 cup of water (1/3 cup if they are frozen) and cover again to steam. This is a photo of the potstickers right after I added the water. Be careful, the water will sizzle and pop! This is after about 4 to 5 minutes of cooking the potstickers covered. If there’s a little bit of water left, I usually uncover and let the water evaporate with the heat turned off. And they are ready to serve with your dipping sauce. Easy peasy. The ones above are steamed Chinese dumplings. 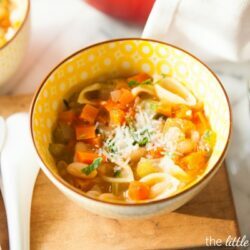 I hope this motivates you to try them and try them with different meats and different vegetables – the possibilities are endless and I love that they freeze easily. Curtis enjoyed them with steamed Jasmine rice. And you can make them a few weeks ahead of time and cook them right before a party and everyone will be so impressed! 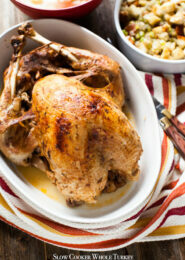 In a large mixing bowl, combine ground turkey or chicken with vegetables and sesame oil, soy sauce, salt and pepper. 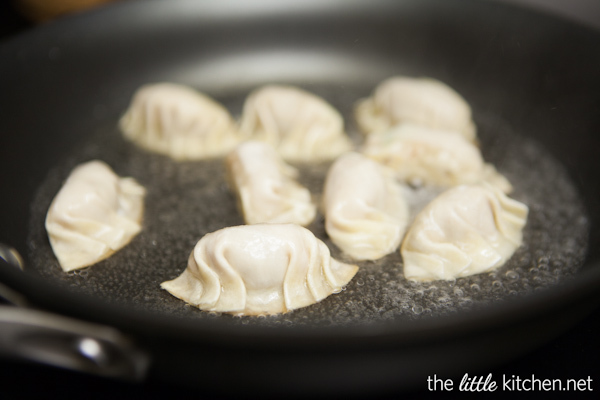 Cook a couple of pieces of your filling either flat or rolled up as a meatball in a skillet on your stove before filling the potstickers to make sure the seasoning is right. If needed, add more soy sauce, salt and/or pepper. 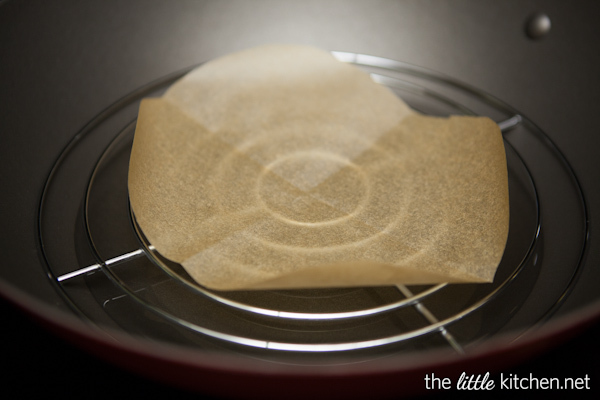 Set up a small bowl of water and wnwrap dumpling wrappers (leaving them in the wrapper but also covering with a wet paper towel to insure they don't dry up) and one at a time, scoop about a teaspoon of filing into the middle of your wrapper. 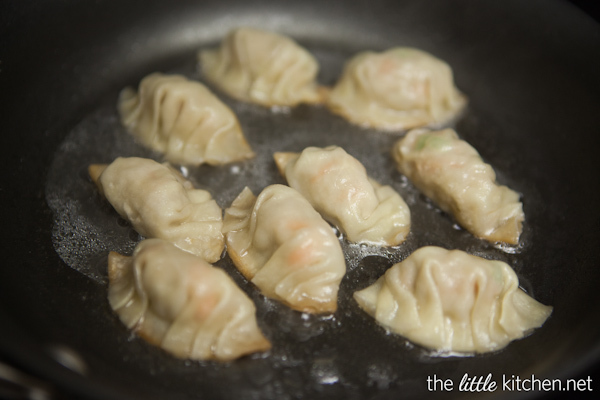 Dab a small spot of water onto the middle top of your dumpling, fold in half and press to seal. Using your thumb and finger, fold pleats into the dumpling on one side and then do the same for the other side. For reference, check out my video on how to wrap potstickers. Repeat until you have no more dumpling wrappers or no more filling. I usually make about 8 to 10 at a time to not crowd the pan. Add 1/2 Tablespoon oil to a non-stick skillet and turn heat to medium. 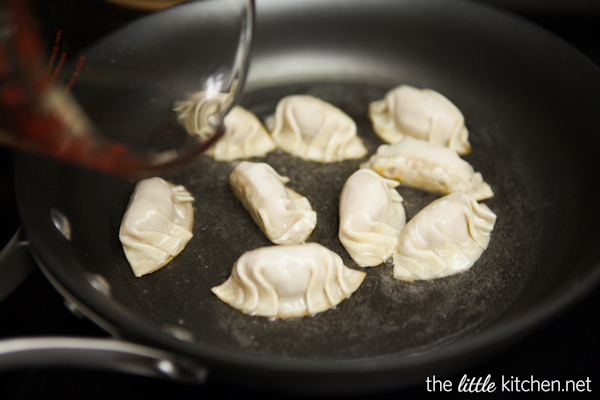 Add dumplings to the skillet and cover. Cook for about 2 to 3 minutes. If frozen, add an extra minute. Uncover and add 1/4 cup of water (1/3 cup if frozen) and recover and allow potstickers to steam for about 3 to 4 minutes (4 to 6 minutes if frozen). Same for steamed dumplings, I only like to make 8 to 10 at a time. Add steamer rack to your wok and and fill with water - not allowing the water to touch the rack. Top with parchment paper (don't cover the entire rack). Cover and turn heat to medium high. Once the water starts bubbling up to a boil, add dumplings and steam for about 5 to 8 minutes (add 4 to 6 extra minutes if dumplings are frozen). 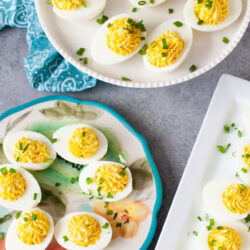 Serve with dipping sauce or even just soy sauce. These are definitely freezer friendly. Place uncooked dumplings onto a plate or a cookie sheet lined with parchment paper and freeze for at least 2 hours. Once frozen, they can go into a freezer friendly container or zippered plastic bag. Label your containers and when steaming or making them as potstickers, follow instructions above on what times and how much water to increase by. 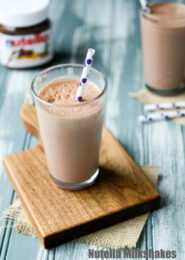 Mix ingredients together and set aside until ready to serve. 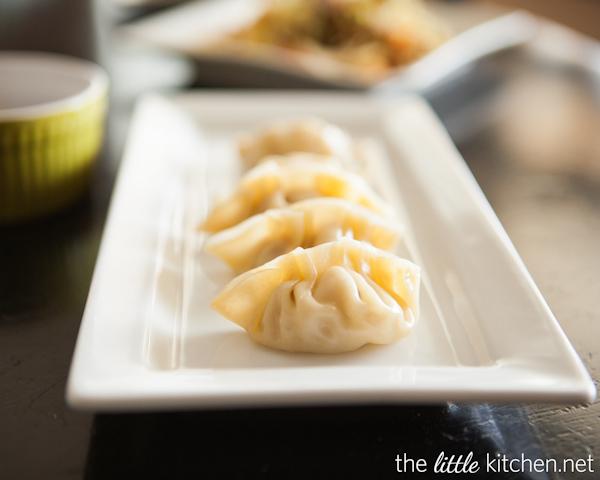 Adapted from these Potstickers that also appear in Easy Chinese Recipes. Disclosure: I was given Jaden’s Steamy Kitchen wok for review and my opinions are my own and I only share with you products I love! There are affiliate links in this post. So just to get this right, you don’t have to cook the meat before you make them? Do you have to steam them before you put them in the frying pan? Or do you EITHER fry them or steam them? And do you freeze them with the meat still raw? You don’t cook the filling before folding the dumplings/potstickers. Do you want steamed dumplings? if so, then follow the instructions in the recipe for steamed. 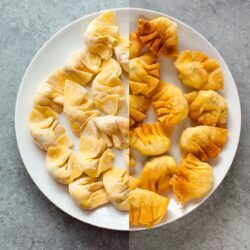 If you want potstickers, then follow the instructions for the potstickers which is a combination of “frying” and steaming. I’m sorry that this part was confusing. And yes I do freeze it uncooked. Hope that helps! Thank you so much! I have never made pot stickers, but I am going to try these today, and I just wanted to make sure I was cooking the meat correctly. I really enjoy your blog. 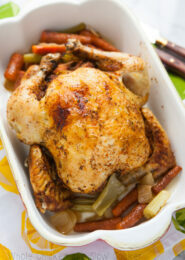 I love your whole chicken in a crock pot recipe, and have used it many times. 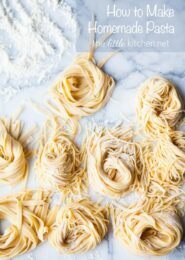 I have lots of your recipes bookmarked so that I can try them later! 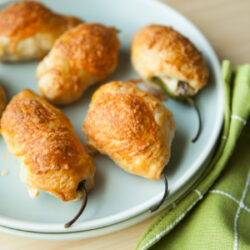 I made these today and received raving reviews from my husband and son! Great recipe, easy to follow and the video really helped make the process simple. What size cookie cutter did you use? I’ve had my wonton wrappers for a while trying to figure out a way to make them into circles. What a duh moment I’m having right now. 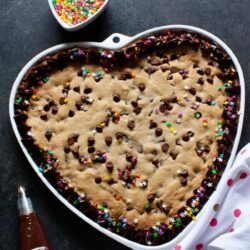 what size is the round cookie cutter, please?